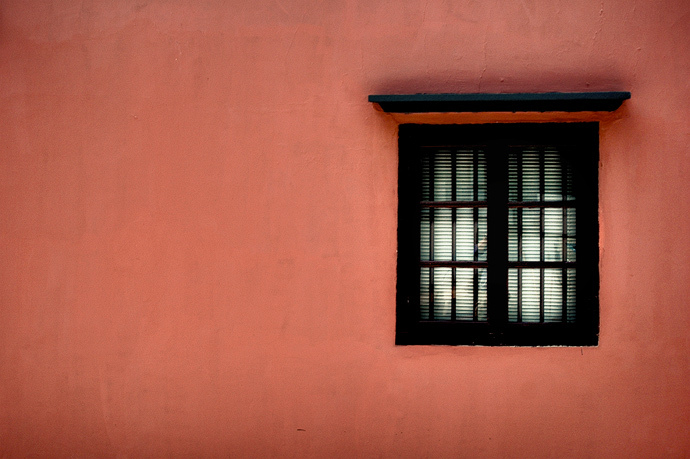 A sun scorched window from a Buddhist temple in Singapore’s China town district. The sun was too intense that day to shoot outdoors but the light reflecting from the pavement worked well photographing in shadier spots. It's an incredibly simple image with extraordinary colors. Window shots are always a favorite of mine and I really like this one. I like the clean and bold composition. Nice shot.